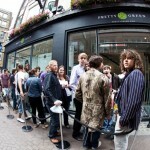 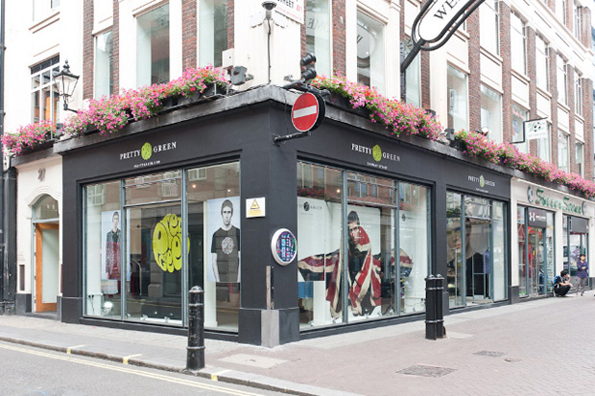 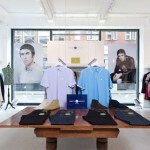 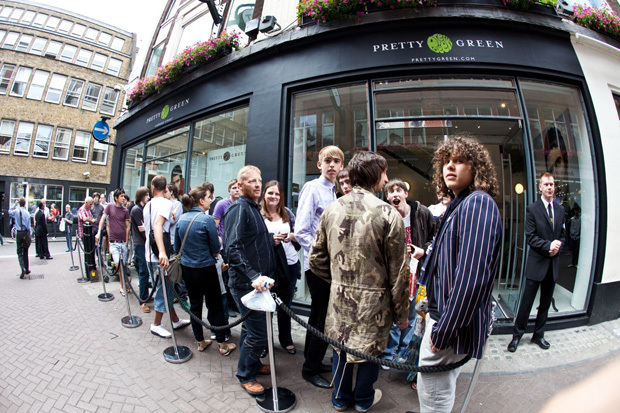 Liam Gallagher has just celebrated the opening of Pretty Green’s first flagship store on London’s Carnaby Street. 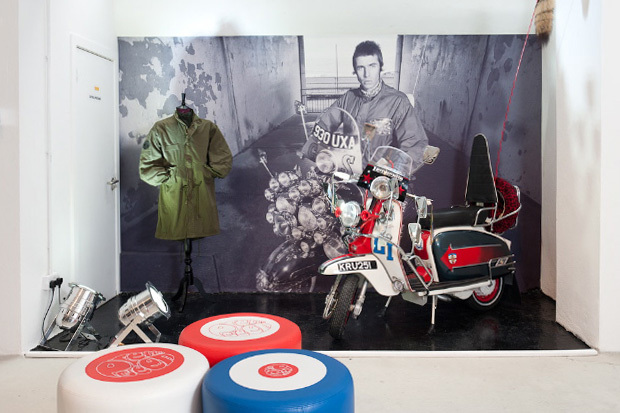 The red carpet saw the likes of Nicole and Natalie Appleton, Beady Eye band members Andy Bell, Gem Archer and Chris Sharrock, Stereophonic’s Kelly Jones, Phil Daniels, Zak Starkey, Audiobullies, Black Twang, Gary Crowley and actor Tom Ellis. 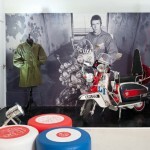 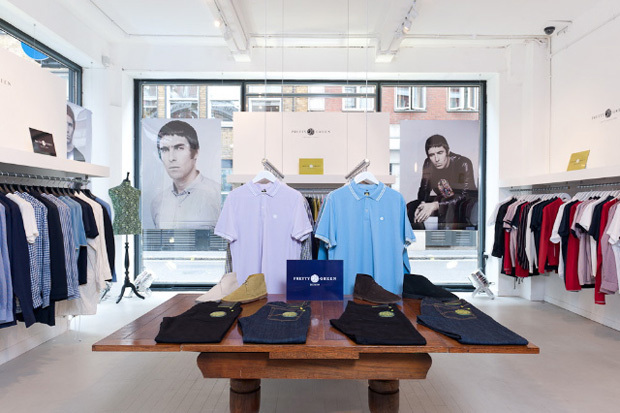 The 2000sq ft store is housed over two stories with the basement area featuring a panoramic image of Liam on Brighton Beach and a Lambretta Li 150 series 3 replica scooter. 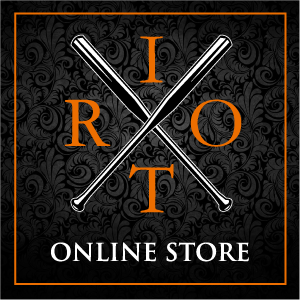 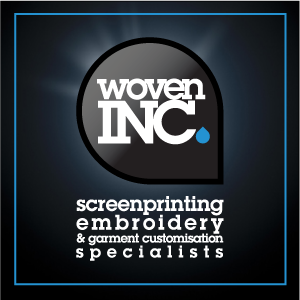 The temporary shop will be selling a selection of exclusive one of pieces as well as the Green Label and Black Label Spring/Summer collections. 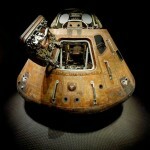 More images after the jump.